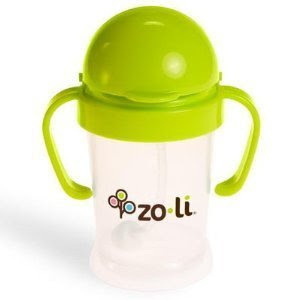 I know this is very exciting, but if you are dealing with someone who needs a sippy cup, here is my recommendation. It is the zo-li and you can find it here. I read about it on a blog, and it is awesome. Does not leak, and has a flexible straw that moves around in the bottom so it stays where the liquid is. I started Charlotte on sippy's with straws because she treats them like a bottle. The lid flips over and folds the straw over when you travel. She also likes to hold it by the handles. It's small, and let me mention again, it does not leak! CHALK PAINT NOW IN GRIFFIN! !